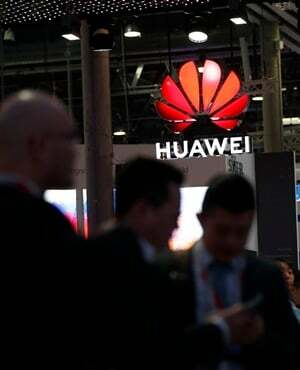 Chinese tech giant Huawei has restructured some of its operations and is now running global business operations and development for all Huawei mobile services from its mobile services hub in Ireland. The group informed customers in certain regions of the world, including Africa, that organisational changes within the group means several of its mobile services will be transferred on April 30, 2019 from Huawei Device to Aspiegel. Aspiegel is a subsidiary 100% owned by Huawei and incorporated and based in Ireland. Huawei said in a notice to customers that it wishes to introduce "innovative digital content services and significantly expand the products and services available to our customers". An expert team at Aspiegel will aim to better meet the needs of customers, it said. "This change is part of our commitment to provide you with the best possible services and launch exciting new ones," reads the notice. It said this change only affects the Cloud, Themes, ScreenMagazine, and AppAdvisor mobile services. It will not affect the way Huawei services are used and will not affect device guarantees or warranties. Data protection and privacy rights are not impacted or reduced in any way, according to the customer notice.